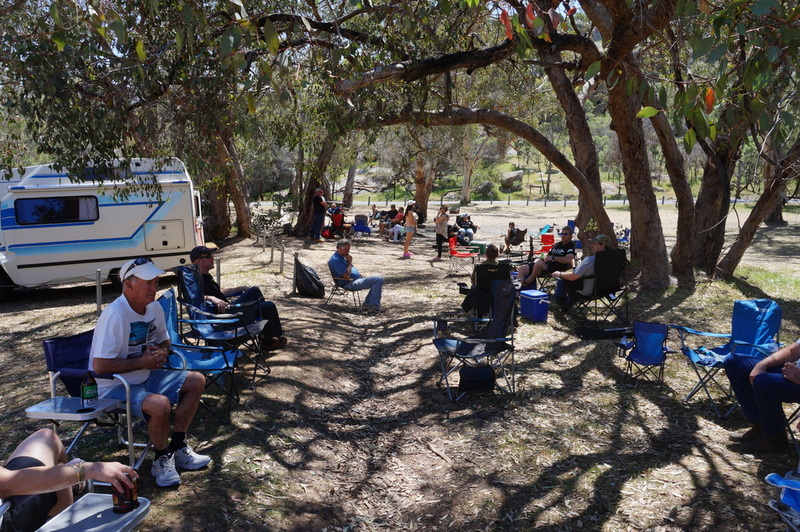 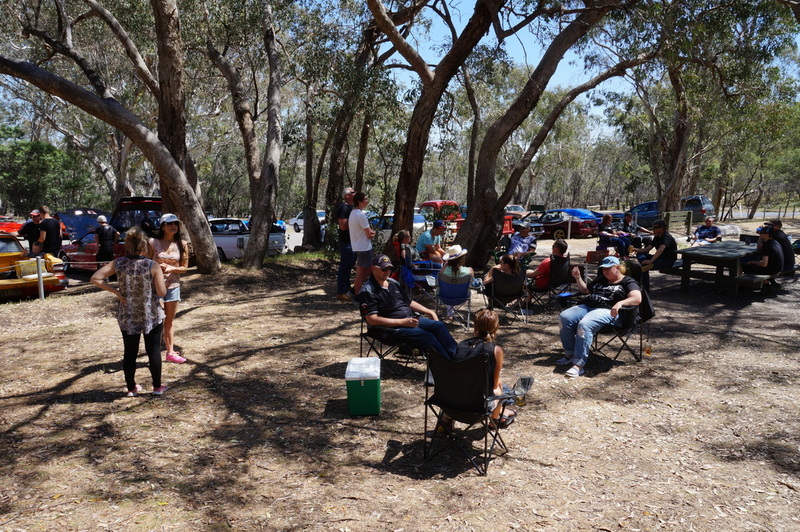 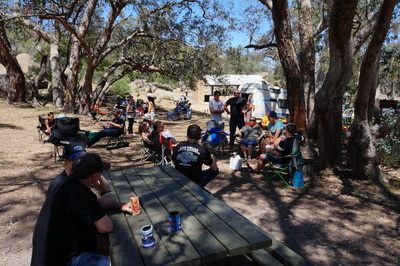 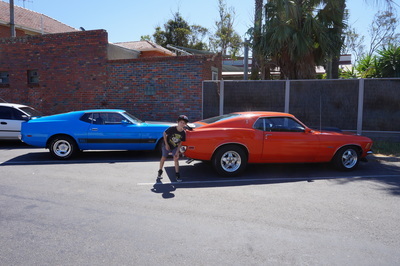 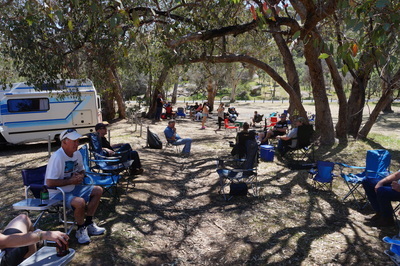 Another successful "fun in the sun" day has been run and enjoyed by Custom Addictions members. 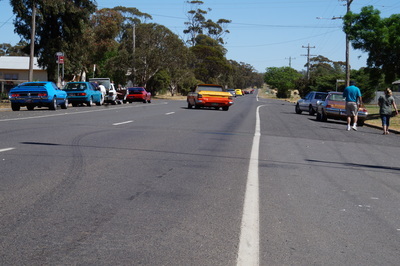 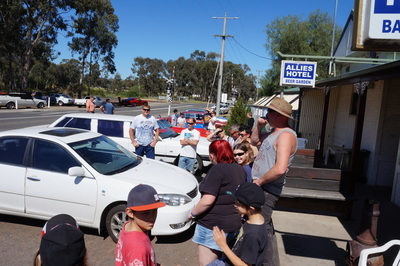 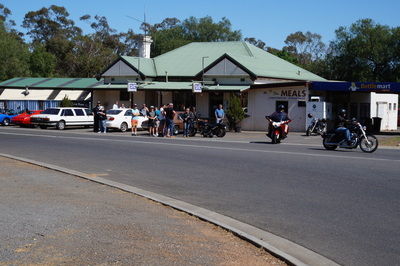 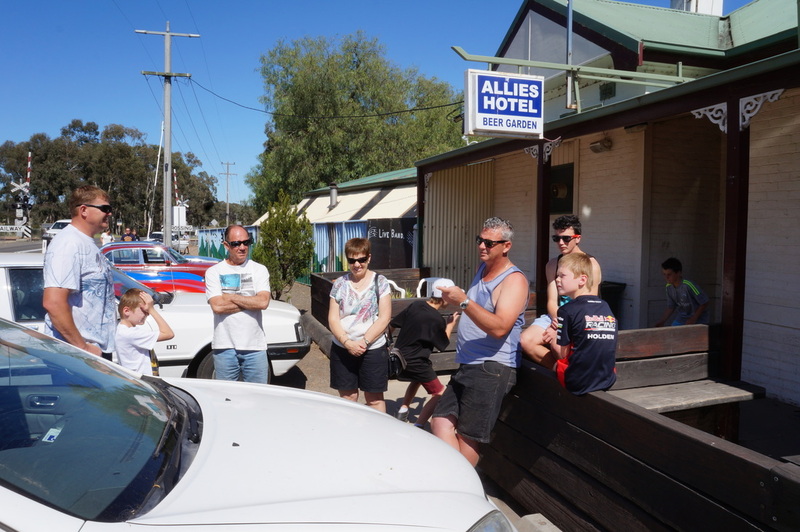 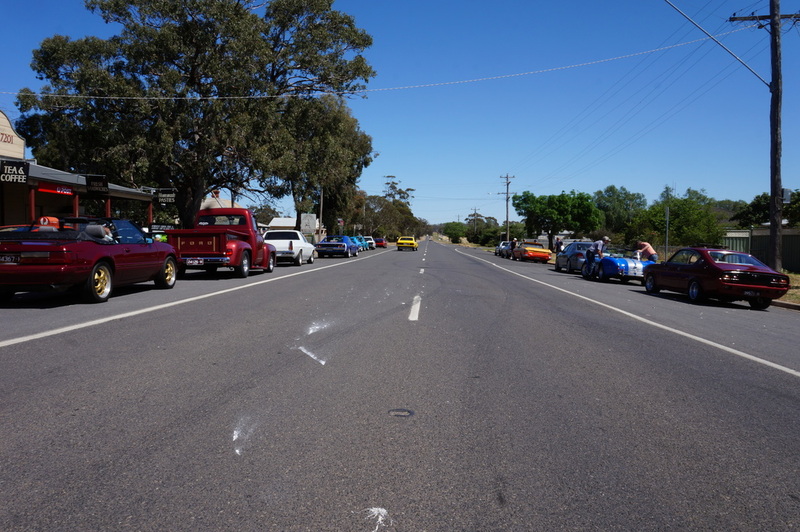 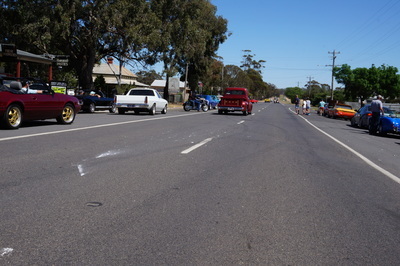 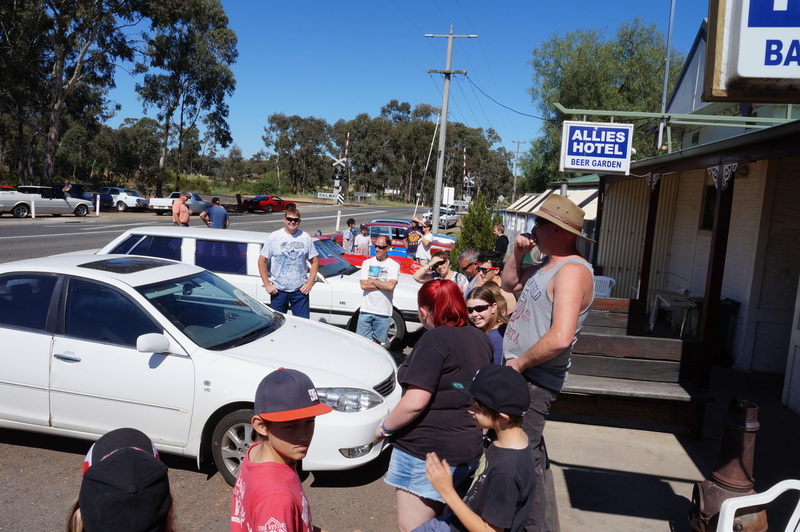 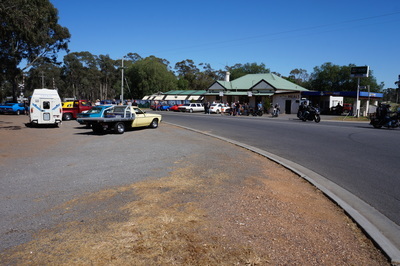 Starting at the Allies Hotel in Myers Flat about 30 cars set off for Melville Caves at around 11.00 am. 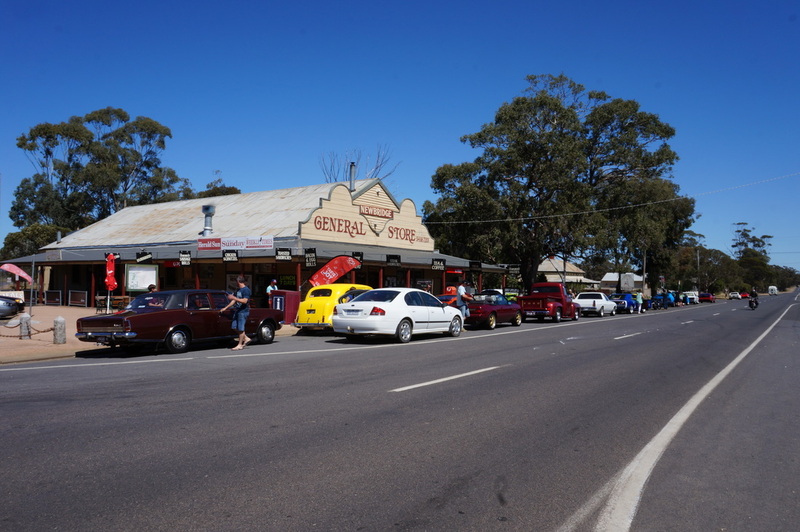 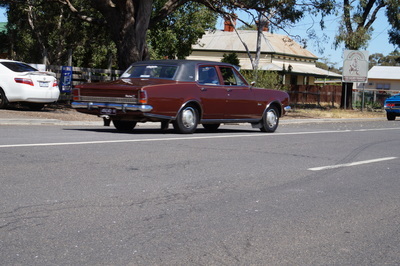 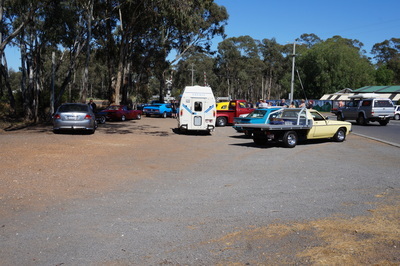 With a designated lead car - Hoota, who knew where he was going, and me as a sweeper in case of breakdowns, we travelled in convoy to Newbridge where we stopped for morning tea. After leaving Newbridge the road narrowed, but we only met two cars coming the other way, so not too much dust. 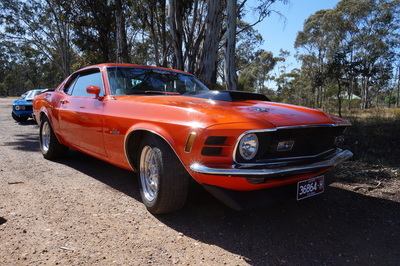 Cruising along the open roads, windows down, the the sounds of V8's, the smells of the bush, the smell of raw fuel - it doesn't get much better. 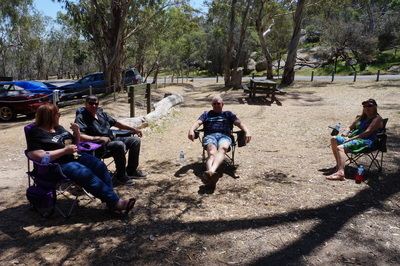 Melville Caves is a very relaxing location - plenty of wildlife and other tourists, all of which we'll most likely scare away as soon as we arrive, which means it will be even more peaceful. 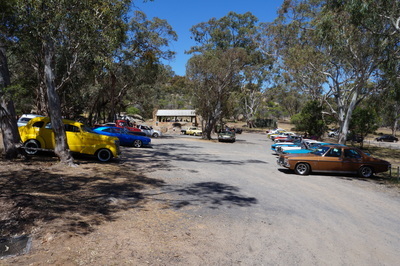 However, it was deserted on arrival, so we didn't need to deal with any tourists. While the kids went off climbing rocks and trees and looking in caves for treasure, the adults just relaxed in the perfect atmosphere. We whipped up a barbie of sausages, hamburgers, salads, and sweets which fed the ravenous animals (members) and caused them to just sit around some more. 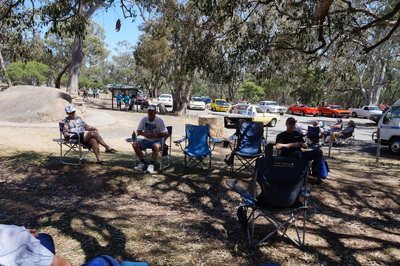 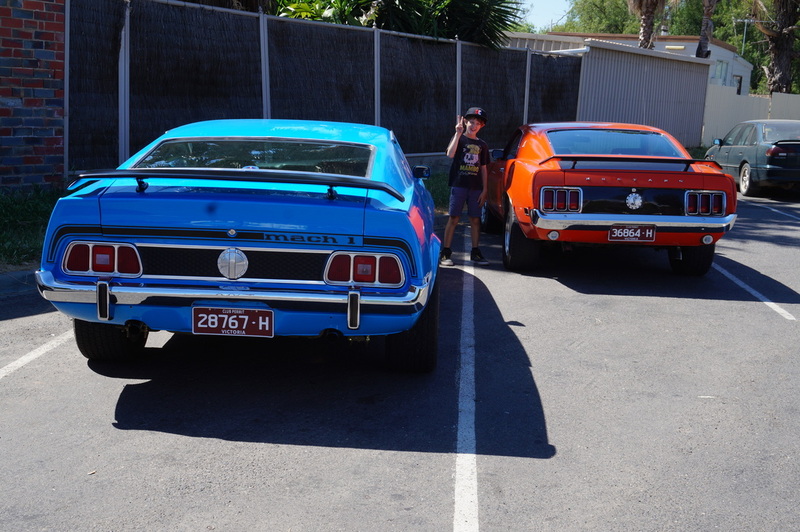 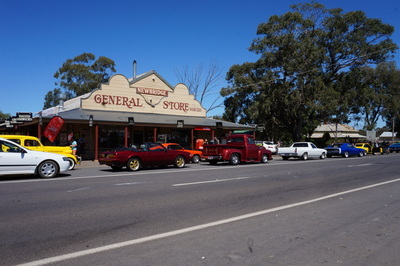 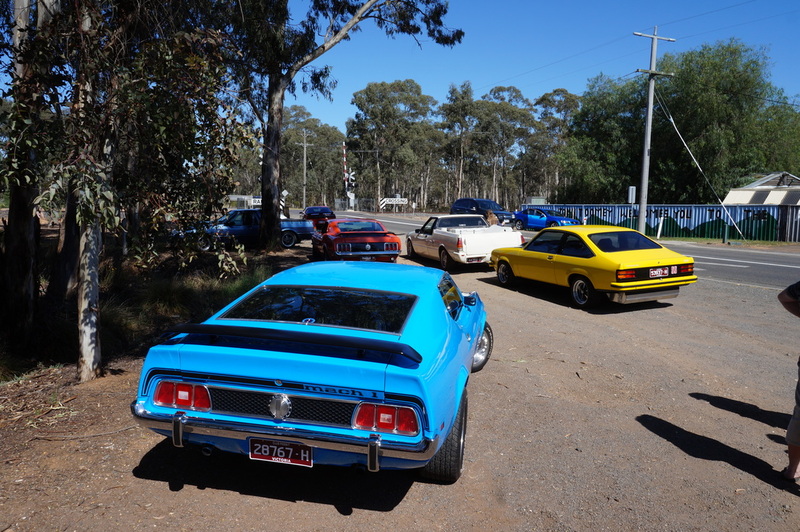 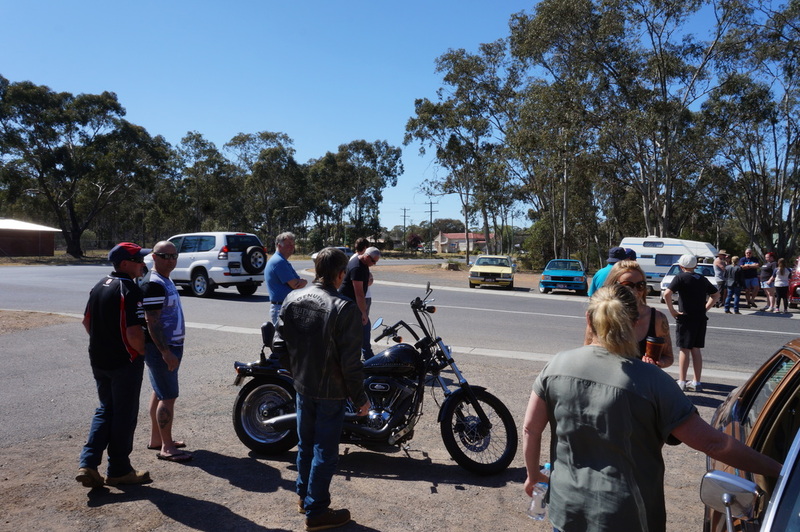 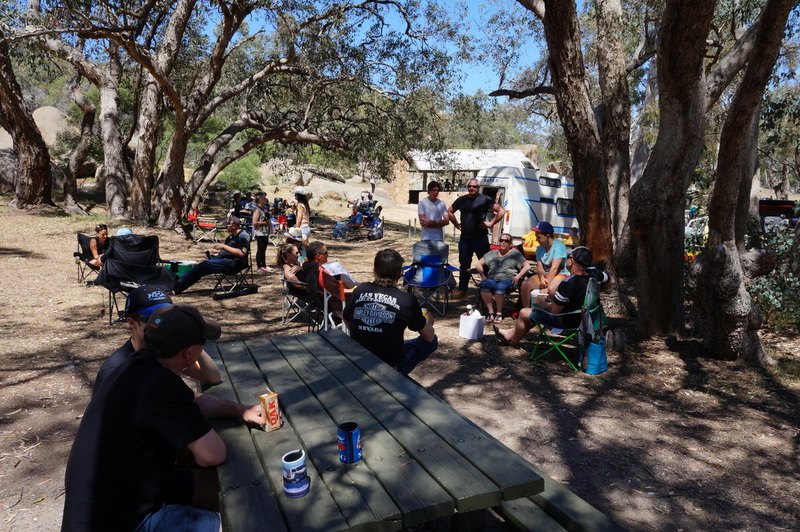 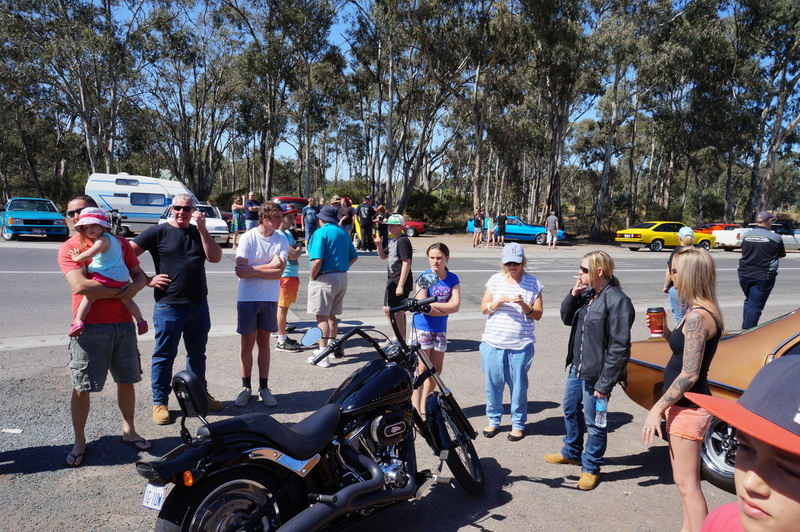 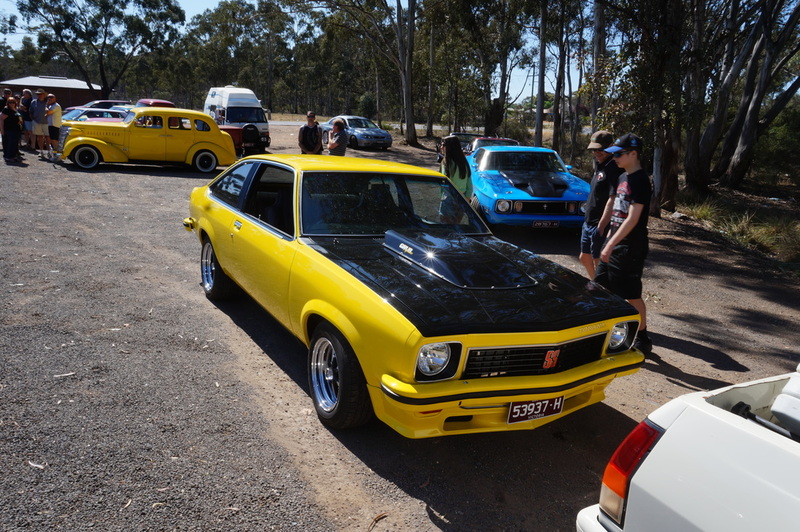 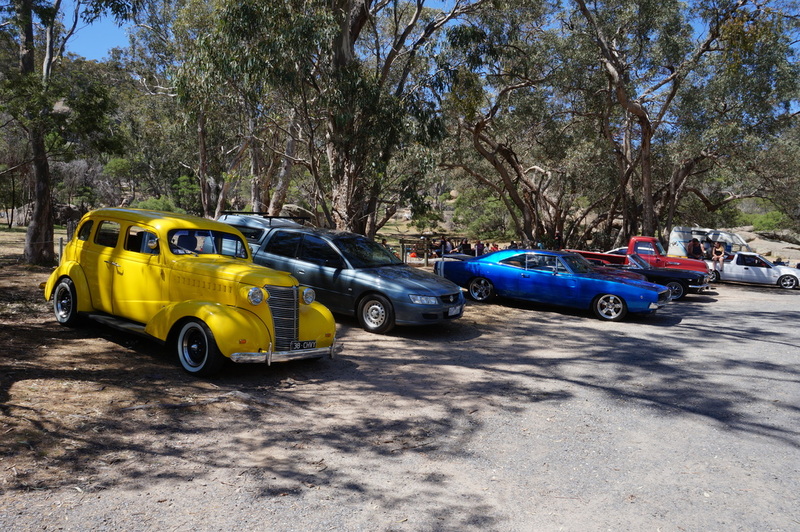 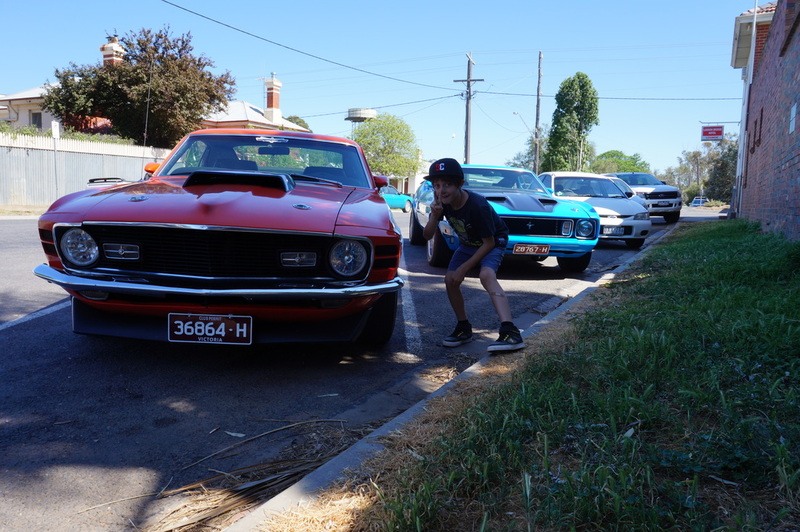 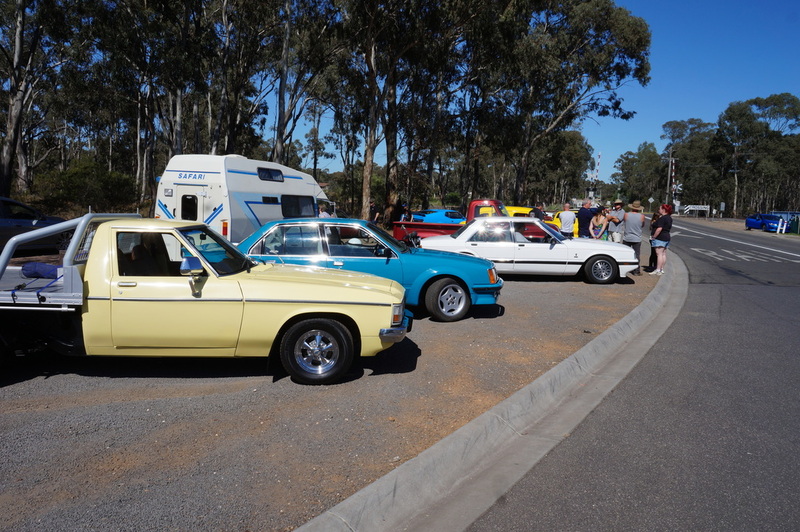 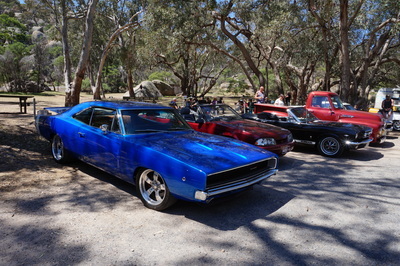 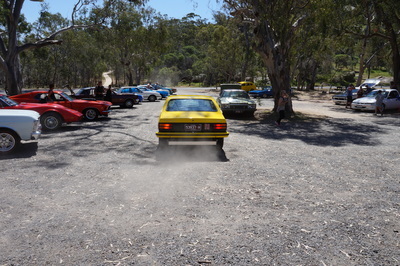 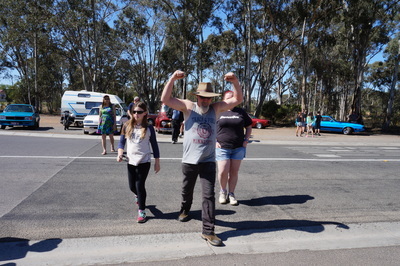 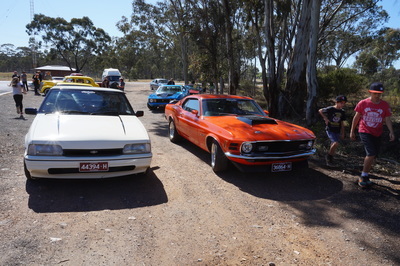 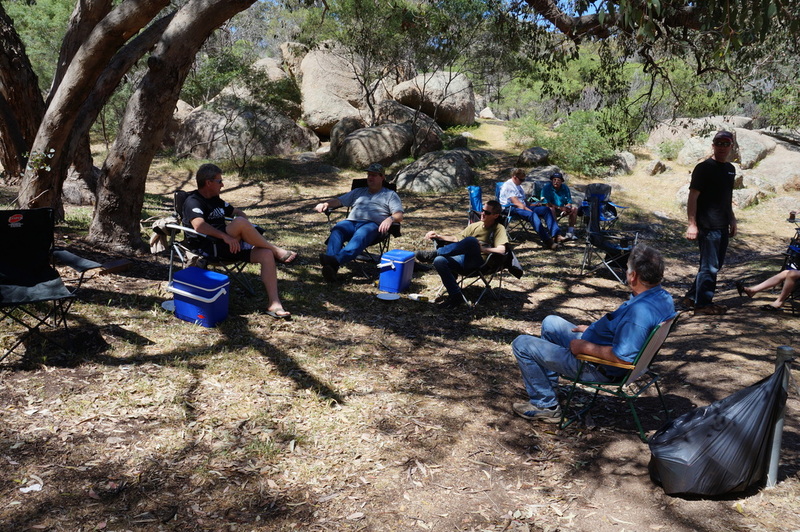 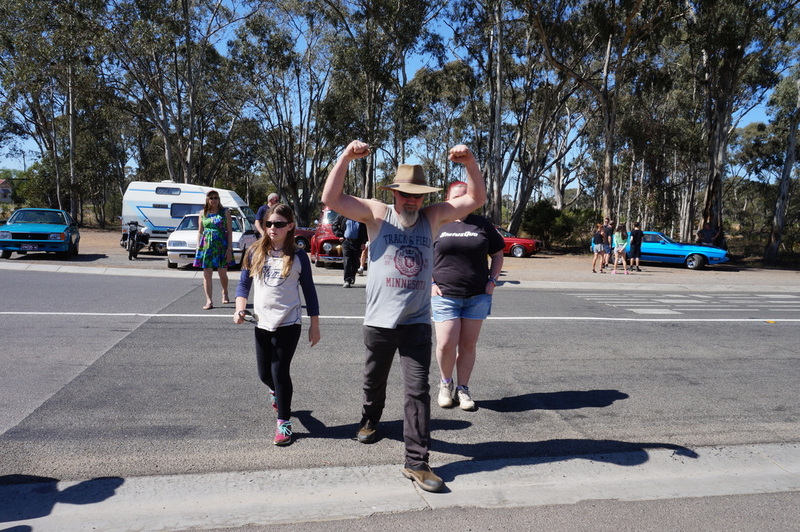 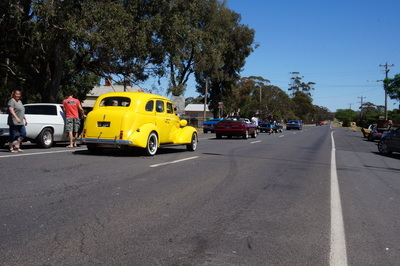 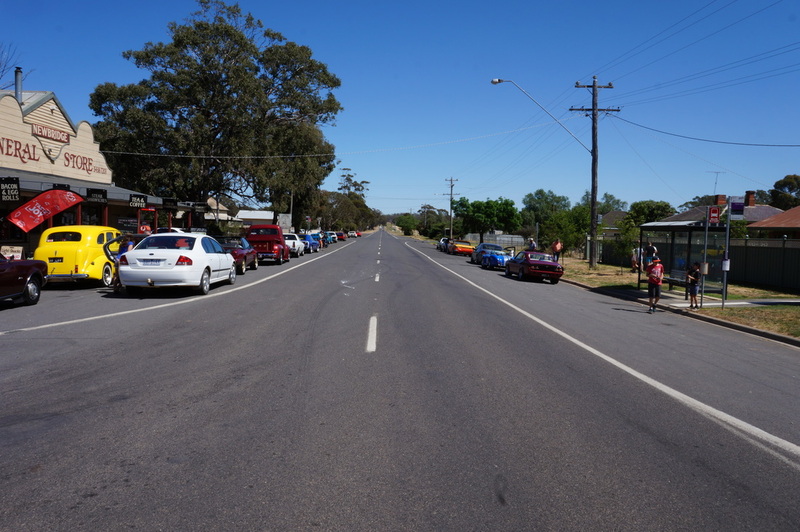 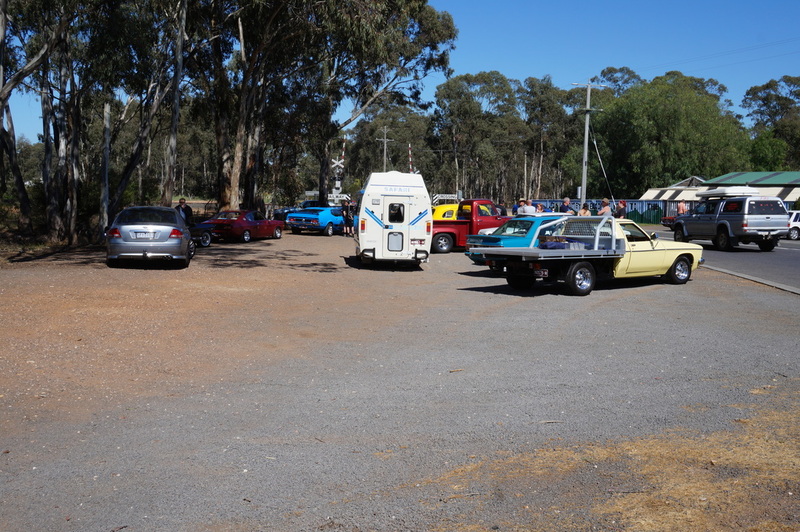 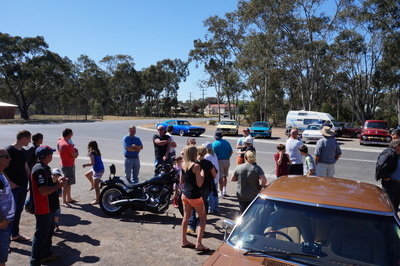 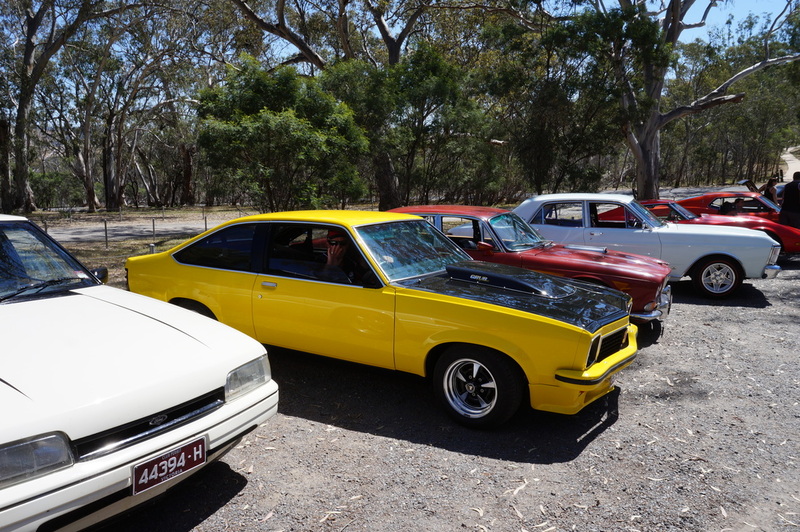 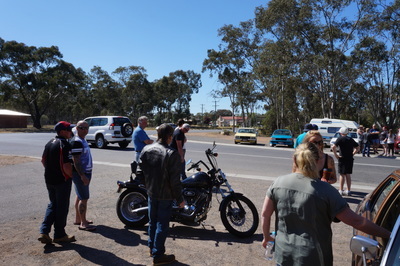 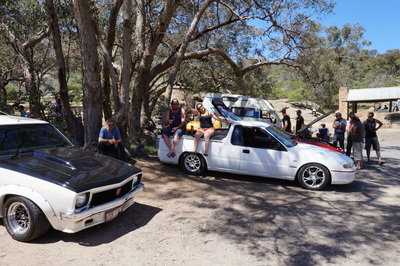 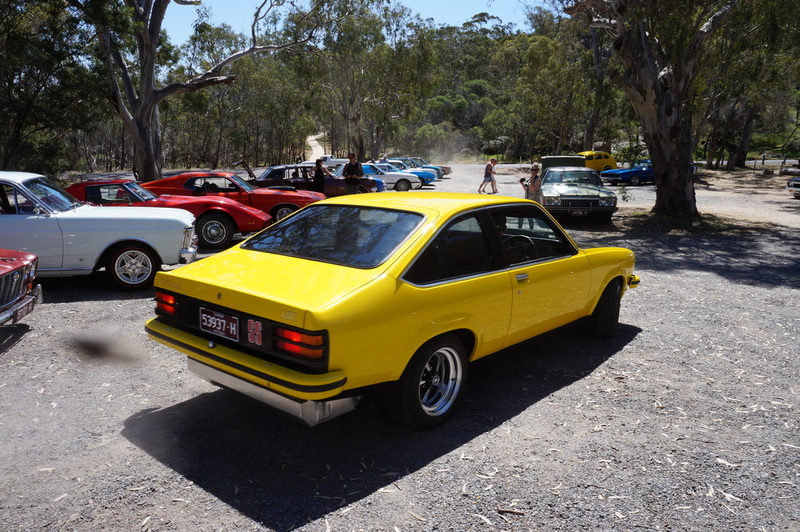 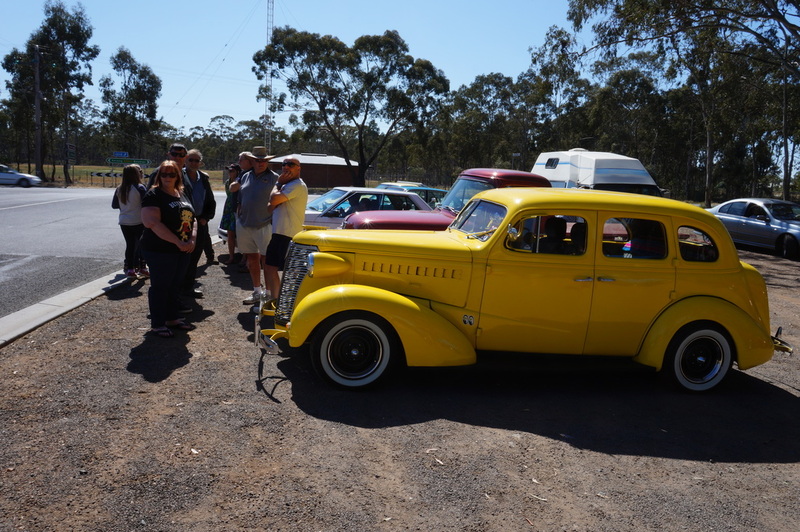 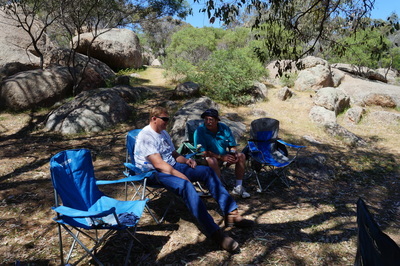 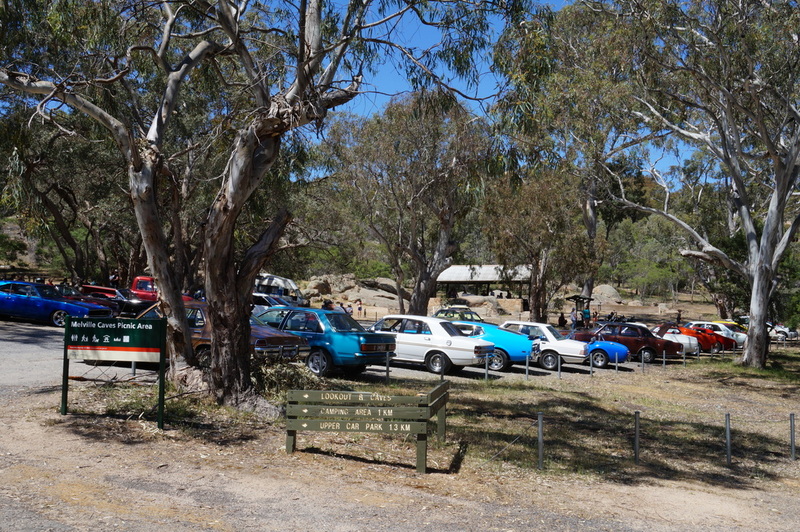 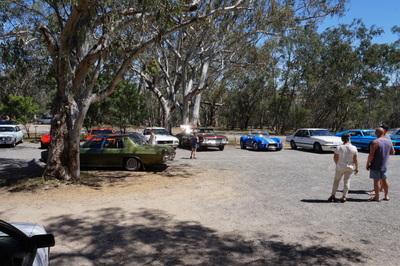 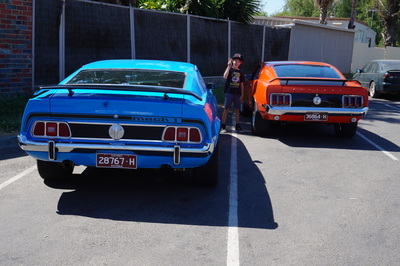 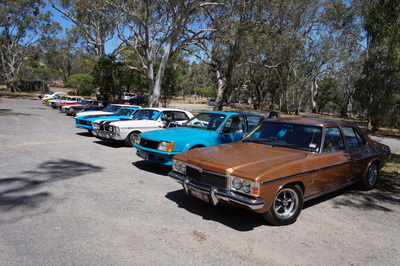 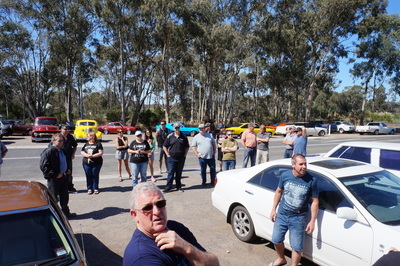 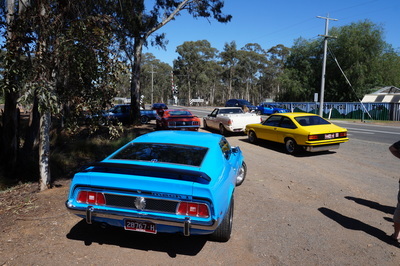 We left Melville Caves around 3pm, some members went across to Mt Tarrengower to watch the end of the annual hillclimb while the rest of us cruised back down to Bridgewater where we found the Bridgewater Hotel waiting for us. 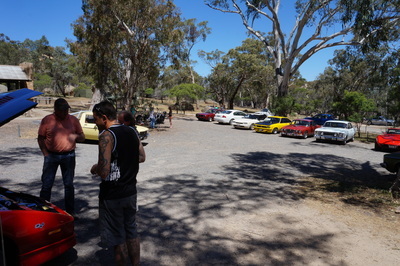 After some de-briefing and some cold ones, we said our goodbyes and headed off for home.